Shakespeare would be delighted. Not even a pound of flesh could procure a ticket for his current season in Central Park. 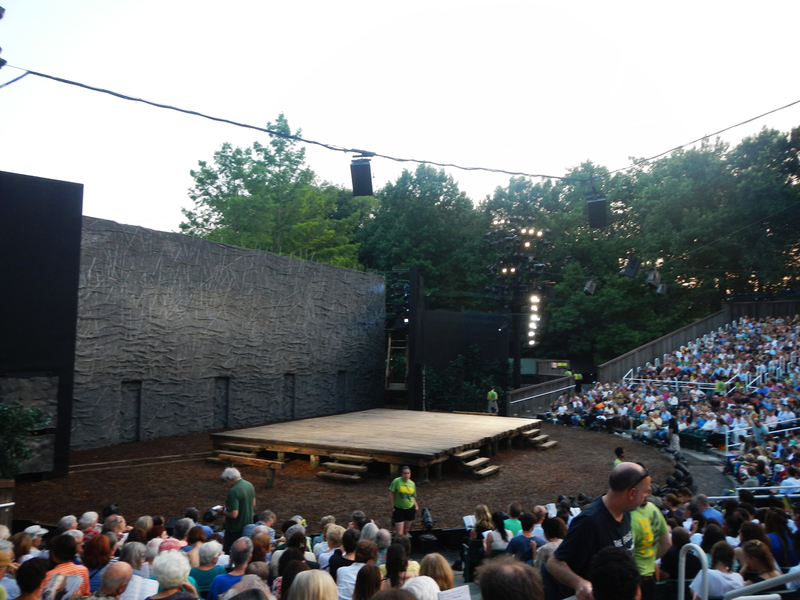 Entry is completely free of course, but the only way to join the 1,800 crowd in the open air Delacorte Theatre is by lining up hours in advance or by striking it lucky with the virtual lottery draw. Of the latter, I applied every day for weeks for the first billing of Much Ado About Nothing, and achieved just that. But for the opening night this week of King Lear, I really scored. Not only did I win two tickets, but the seats gave us an excellent vantage point, close enough to feel part of all the drama on stage and at the same time to join the whisperings of the trees surrounding us. Tuesday evening was perfectly balmy. The stage was plainly set with lighting effects that transformed the mood as night descended. Little creatures scuttled under the stage, birds flew overhead and hip hop music from an outside party momentarily drew us to the present. 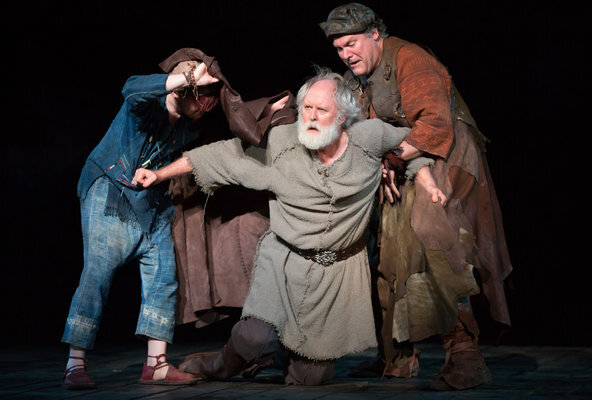 But once John Lithgow appeared on stage guised as King Lear, we were spellbound. The whole performance was rich and recognizable, yet with a familiar rather than formal style that somehow gave hope against the inevitable. While ‘nothing comes from nothing’ the magic of the night suggested maybe this time the classic end could be contradicted, and tragedy averted. Not being able to take photographs was like a royal decree, and the respect of the crowd for the performance and the privilege of being in attendance was evident. Even the weather paid homage. As Lear drifted in and out of madness, driven by the treachery of two daughters and his despair for the third, the breeze rose and rustled through the trees. The tempest swept around us, lightening flashed in the distance, and then suddenly, as if on cue, the wind dropped and all was perfectly quiet. Just at that moment the King took his last breath, and with the slain Cordelia clutched to his breast, they slumped together, dead in each other’s arms. It was absolute poetry. Courtesy of New York Times…. This entry was posted in art & inspiration, events, Uncategorized and tagged John Lithgow, King Lear, Shakespeare in the Park. Bookmark the permalink.